Designed by Leonardo Danielli for the Daytona collection, the Beatrice Love Seat presents a modern take on a traditional piece. Elegant lines form the framework of this versatile love seat creating a refined design that will make the perfect addition to a bedroom or restricted living space. 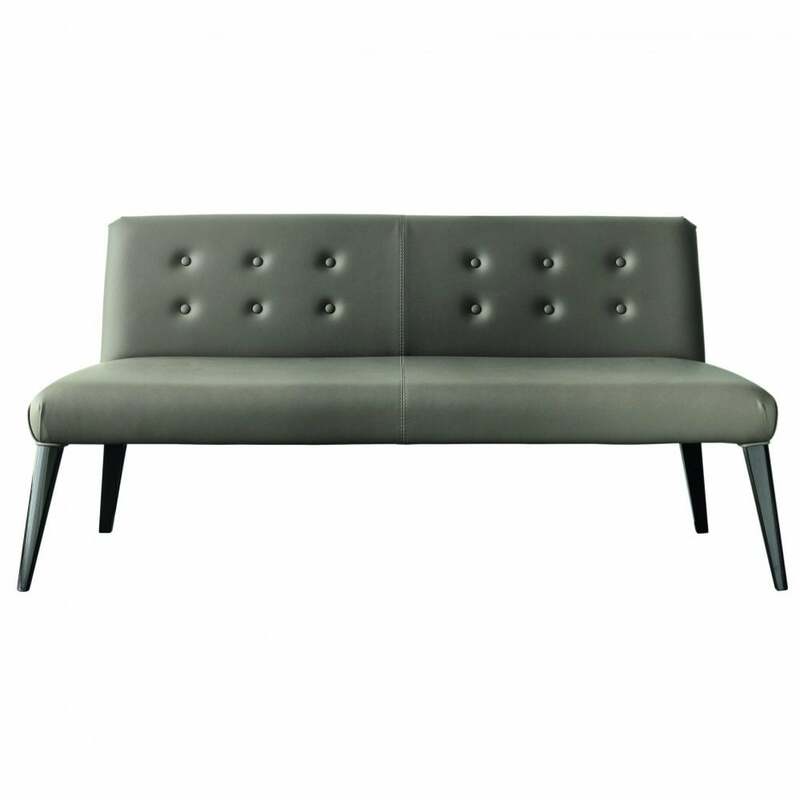 Bring Italian glamour to your home with the Beatrice Love Seat. Crafted from strong plywood, the seat is covered in multi-density rubber with an air soft upper layer and all-over surface of goose down. Featuring beech wood legs with a brushed lacquer gloss finish, the love seat combines romance with practicality. Upholstered in high-quality nubuck leather, the backrest is adorned with beautiful capitonné lining. The Beatrice Love Seat can be made in a range of fabric or leather options. Make an enquiry for more information. 100% Made in Italy.